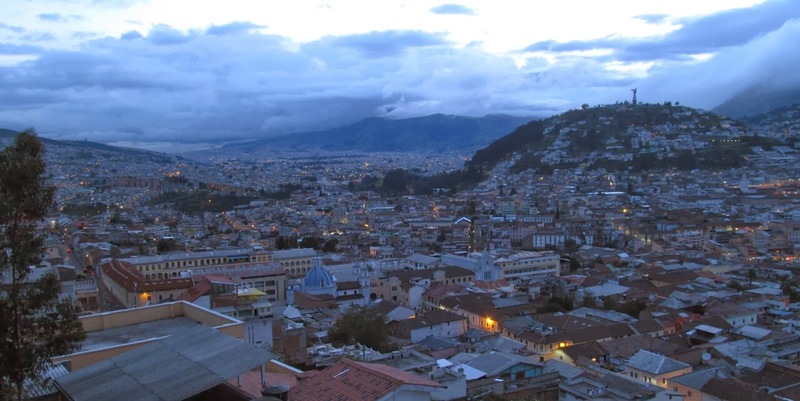 Situated on the Equator at an average altitude of 2800m and surrounded by volcanoes lies the beautiful city of Quito in Ecuador. 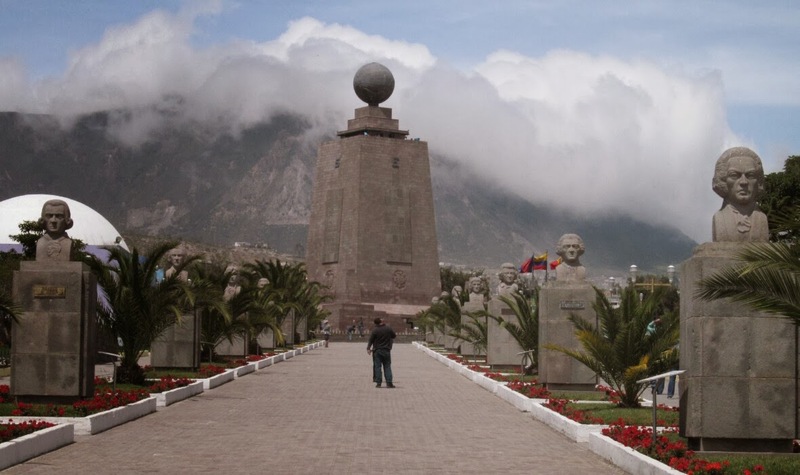 It is the highest capital city in the world and is also the highest city on the Equator, which gives it the title of the 'Middle of the World', and you can have your passport stamped to prove it. In 2012 we went to the 'End of the World' at Ushuaia, the southernmost city, but have been unable to find a city with the title of 'Top of the World'. 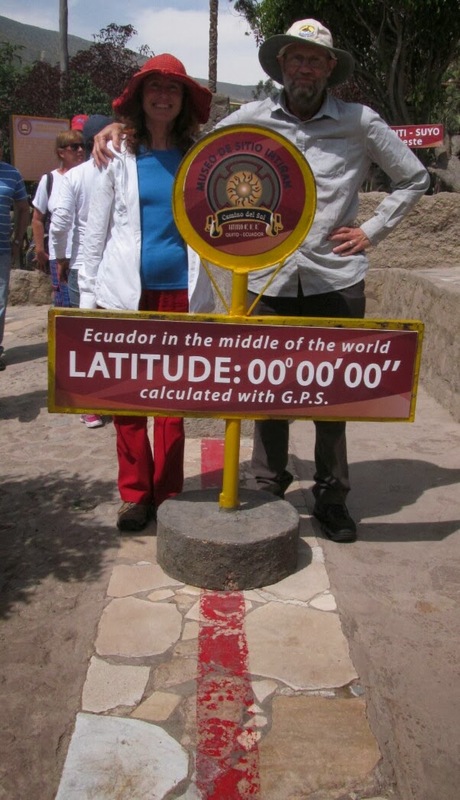 First stop was a trip out to the actual Equator line. There are two X's that mark the spot. There is the fancy one with huge monuments, buildings and exhibitions, a price to get in and is the new location where they are building the South American version of the UN. Unfortunately this X is wrong by about 240m, which they discovered after the development of GPS. The accurate X is a small complex with displays of traditional huts and numerous experiments to demonstrate what being at the Equator means. Most intriguing was when they filled a tub with water and pulled out the plug. The water went straight down, without a swirl. A couple of metres on one side of the line the water would swirl clockwise and a couple of metres to the other side it would swirl anti clockwise. I did not expect it to be so dramatic. Then on to the main town which has an old sector that was equal first to be placed on the World Heritage List and is one of the best preserved in the world. 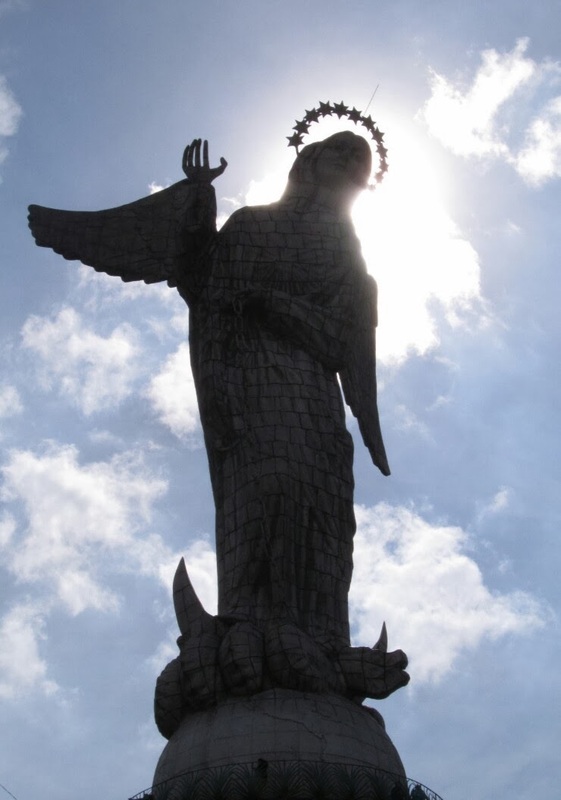 Lots and lots of churches; there is a whole line of them working up to the Virgin Mary statue on top of El Panecillo hill. 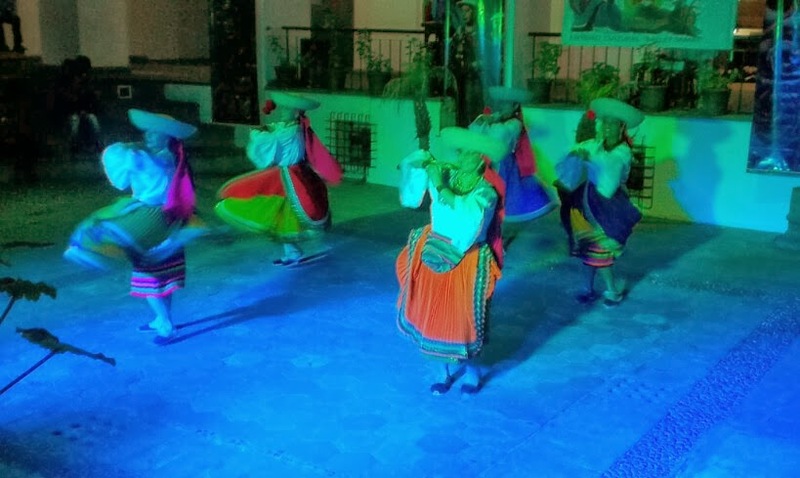 At night we went back to the old town to eat in the main plaza area and watched a performance of traditional dancing for a gold coin donation. Ecuador is reallllyyyy cheap with taxi flag fall starting at about 35c and the half hour trip to the old town costing $1.70. They will try not to turn on the meter and negotiate instead, but at those prices you don't mind paying an extra dollar. 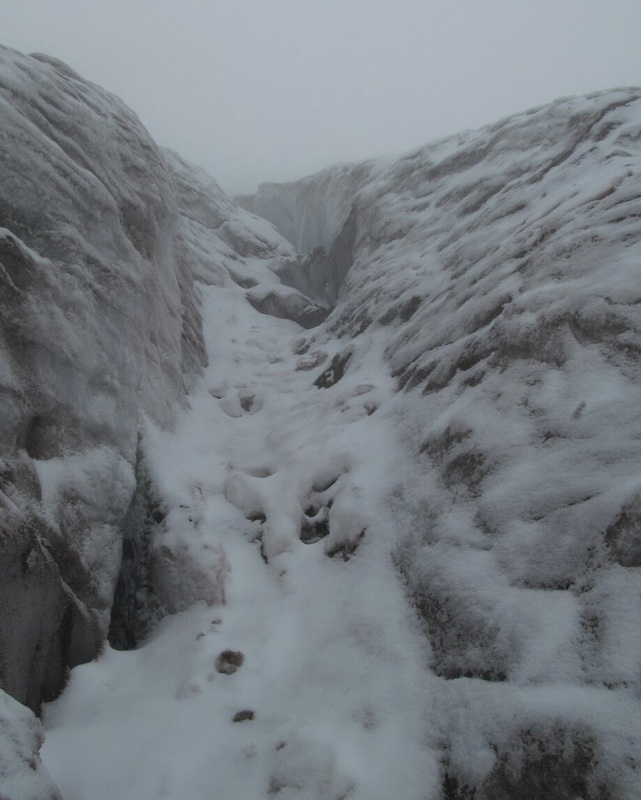 One of the main things I wanted to do here was trek the Cotopaxi volcano to the refuge. 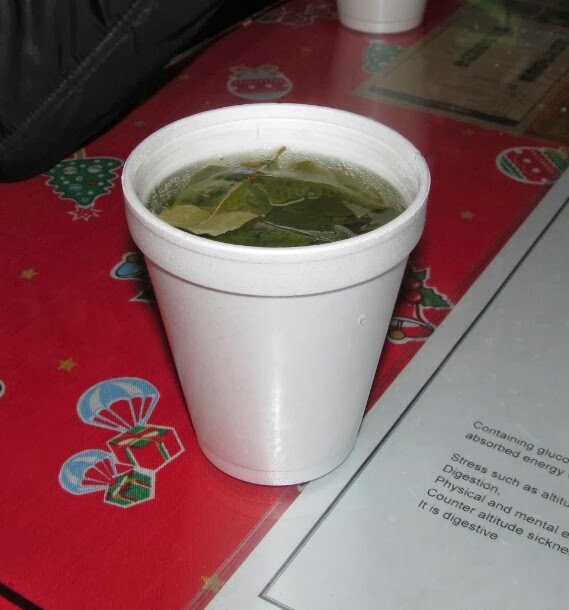 But I suffered badly with altitude sickness and an initial 3 day headache. So what was planned for day 2 was put forward to day 7 (our last day) to allow me more time to acclimatise. I tried to go somewhere higher than where we were every day; the saying for climbers is 'climb high, sleep low'. So we went to high spots in town such as the Virgin Mary statue at 3000m or chose a restaurant on a peak. On the day before Cotopaxi we took the cable car up Pichincha volcano arriving at 4100m and started the trek to the top (4800m) until my headache got too bad. I lasted an hour and we estimated we reached about 4300m before turning back. 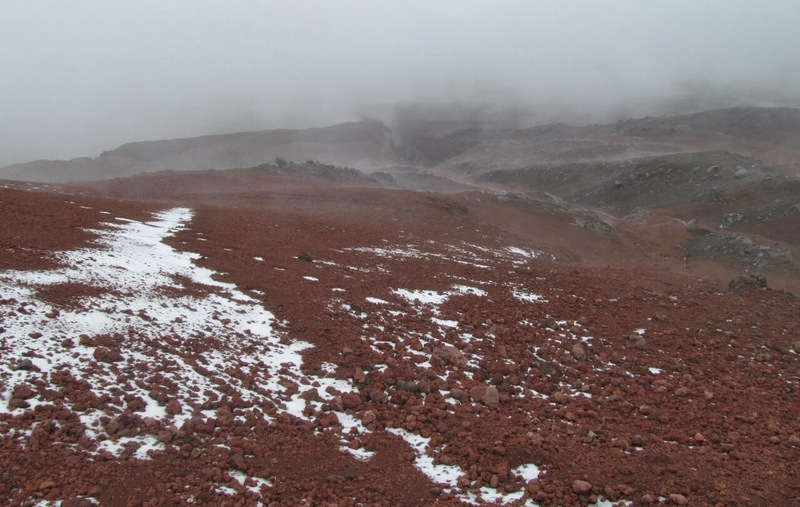 So on the day of Cotopaxi I was confident of being able to make it to the refuge at 4800m. The drive takes you to the carpark at 4500m. It does not sound like we walked very far, but at that altitude up a steep volcano your steps are really slow and very difficult. By the time we got to the refuge we were puffing like we had just run two back to back park runs (5km each). But we had made such good time, 15 mins under the average, our guide offered to take us up to the glacier at 5000m. We all agreed. 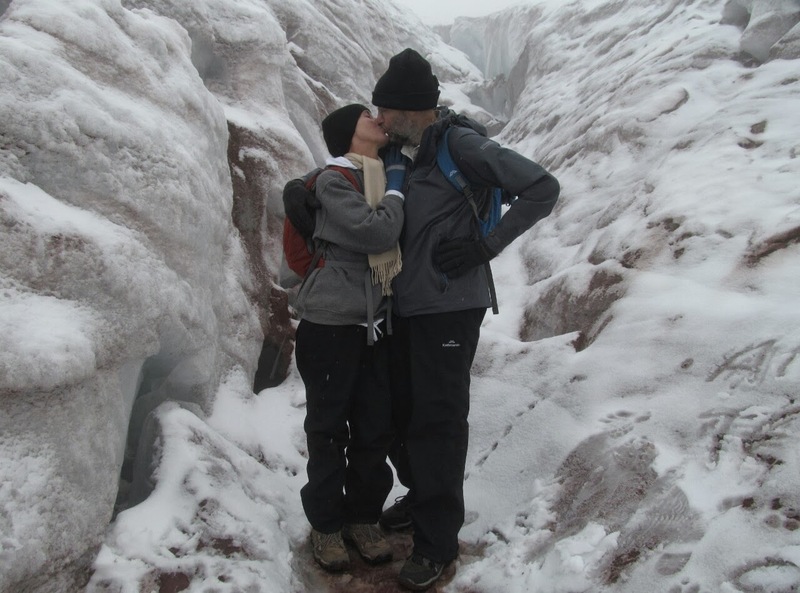 This was a good move, even though my head was bursting: the view at the glacier was brilliant, the shape and textures took your breath away, let alone the normal volcanic colours on the way up and down. There were some crazy young guys who arrived after us, and I will leave that vision to the video I'll post below. Going down took a third of the time, as going down steeply in volcanic soil is surprisingly easy. The soil is damp and soft but also firm; you tend to step into it and sink slightly which stops you from sliding, but not so much that the next step is difficult. It takes a bit of practice (we have had lots), so there were some slips on to their bums for the people around us. On the way back we stopped at a small museum for lunch. 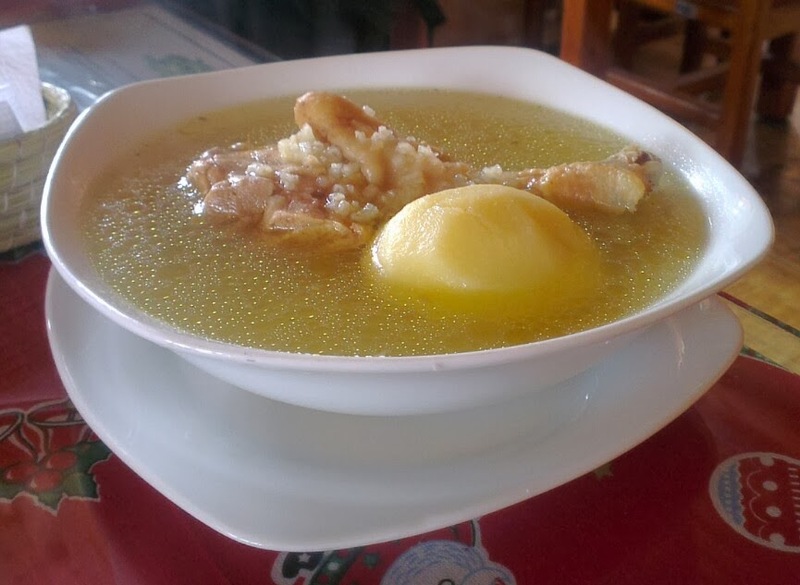 The warming and scrumptious meal consisted of chicken soup, a huge corn cob with a slab of cheese instead of butter (sorry forgot to photograph it) and a steaming cup of fresh coca leaf tea. That hit the spot. 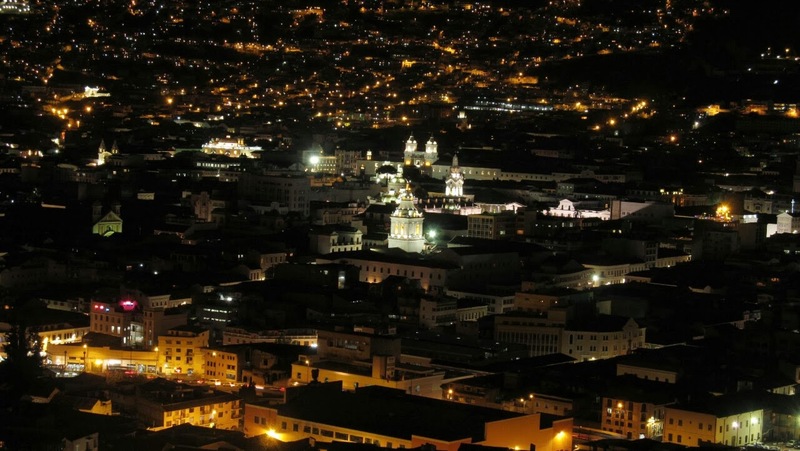 Quito is a beautiful city that gave us some unique moments and has a charm that reminded me of Cusco in Peru. 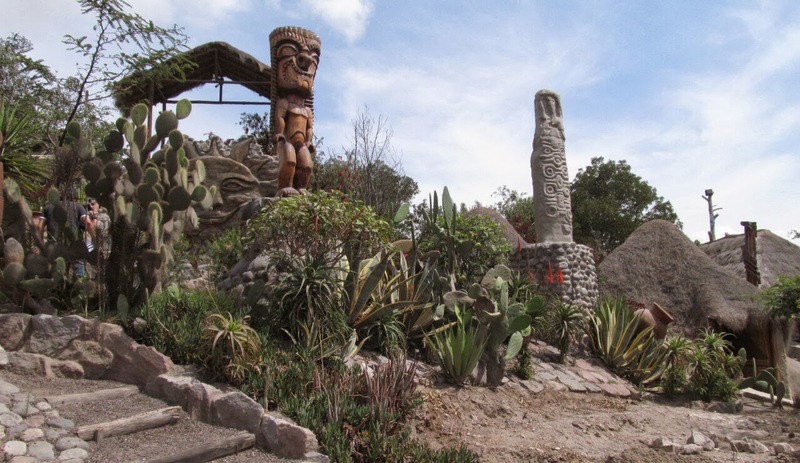 But allow the time, and maybe some pills, to adjust to the altitude when you come here, or preferably take land transport up and stay at several places on the way to adjust to it slowly.